Virginia Irurita founded Made for Spain over a decade ago on the premise that cookie-cutter tours are no way to experience a country so rich in beauty and culture. Raised in a family of seasoned travelers, Irurita realized that what Spain’s tourism industry was missing was the personal touch. The local connection. The thoughtful introduction. The immediate induction into a lifestyle that transforms what could have been an ordinary survey into an adventure worthy of a Cervantes novel. After all, anyone can come to Spain, shop in Madrid, eat paella and see the running of the bulls. But only Made for Spain’s clients will have the opportunity to enjoy a guided shopping excursion with a well-known Spanish fashion designer, sit down to a paella lunch with the author of La Paella, a 2006 New York Times notable cookbook, and see the bulls do their thing from the balcony of Irurita’s friends’ advantageously-located Pamplona apartment. If you’ve ever watched Anthony Bourdain’s No Reservations and wished that you could have the same access, Made for Spain is the travel specialist for you. From family adventurers to enamored honeymooners to special interest groups, Made for Spain’s clients can choose from a repertoire of experiences so vast and elaborate that every day can present a new and unparalleled diversion. As its countless travel industry awards and accolades attest, Made for Spain has accomplished its mission to provide every client with the ultimate Spanish experience, custom-made just for their particular tastes and interests. 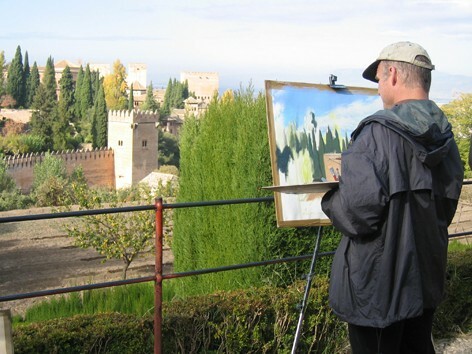 Sitting at the pinnacle of the country’s hospitality offerings, Made for Spain has earned its reputation as the gold standard of travel services by spinning dreams into exhilarating journeys and unforgettable life experiences.